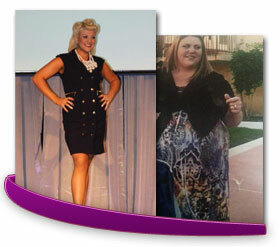 Western Bariatric Institute works with most insurance plans. We strive to maintain good relationships with insurance companies and work hard to continue to improve coverage for weight loss surgery for our community. Most insurance plans have coverage for weight loss surgery, but there are still some that don’t, or your employer may have excluded it from your plan as they might require a supervised weight loss plan of 3 or 6 months before they will approve. If you have Medicaid, please call our office for the current guidelines. We have a dedicated patient advocate team who will help you through the insurance approval process, as well as an insurance authorization specialist who can work directly with your insurance to get you approved. If your insurance plan covers bariatric surgery, but you have a high out-of-pocket cost, we have options for affordable financing. Financing – Get an Approval Today! If you need help with large out of pocket costs, we work with a local credit union on getting you the funding you need for surgery. Please call our office at 775-326-9152 Ext 3 and ask someone on our advocate staff to refer you. We have a great approval rate with them, they are flexible, affordable and have a hassle-free convenient service that caters to our patients. They want to work with you, so don’t hesitate to call and ask for the contact information. If you don’t have insurance, or if your plan excludes bariatric surgery, Click Here or call 877-985-6771 for more information. 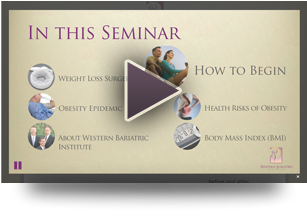 Determine why bariatric surgery is not covered. Ask your insurance provider for specific reasons. Insist on a written denial. Request that your insurance provider reconsiders your request. Call the member services phone number listed on your insurance card (make sure your group number is handy!). Request the necessary steps required to file an appeal. Contact your insurance provider to confirm that they have received your appeal. Notify your surgeon’s office after your appeal has been submitted so they can record it in your chart. Follow up with your insurance provider several weeks after filing your appeal. Our office is highly skilled in this process and is happy to help you navigate your appeal. Follow this link for sample letters from Obesity Action appeals, or view the Appeal Specialists flyer for a free consultation.